Posted on September 26, 2013, updated August 23, 2017. For Amy and Michael’s wedding, held at a private residence, the décor was romantic and almost as perfect as the couple. The chandeliers, chair décor and incredible rose chuppah were the perfect additions set against the gorgeously draped tent. 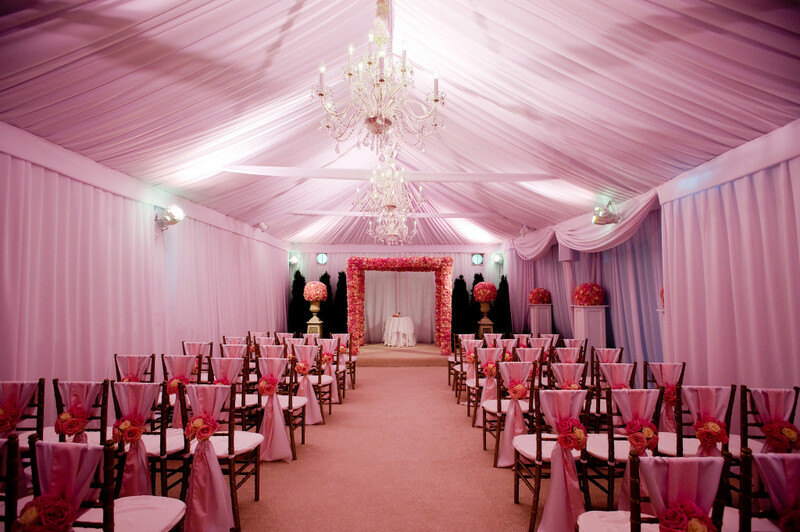 The romantic pink hue cast a warm glow around the room, setting the scene for a beautiful ceremony. For dinner, tables were adorned with gold silverware, and breathtaking rose centerpieces atop crystal stands. 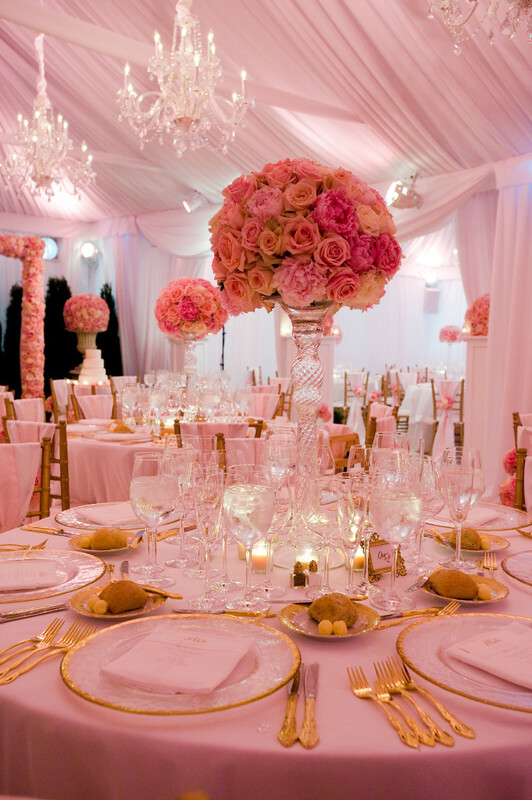 The chairs from the ceremony worked well with the luxe pink linens on the tables. To see more photos of Amy and Michael’s special day, please see our gallery. The Event Group blog is your place to find the latest and most inspired tips and trends in wedding planning & special events. Along with sharing our insider information, we will also be featuring our very talented colleagues within the industry as guest bloggers for a more in-depth look at the many facets of event and wedding planning to keep you inspired. We welcome you to share your thoughts, special event ideas and inspiration with us. We hope you enjoy exploring our events as much as we enjoy planning them!